The nature will love your OCTAVIA G-TEC. So will your wallet. The more you drive, the greener you are. While looking the same as other OCTAVIA cars, this very one is equipped with automatic switching between the two fuel systems. With CNG, it promises low fuel consumption (from 5.5 m3/100km), as well as low CO2 emissions (from 98 g/km) and... yes, low costs for your driving. The Compressed Natural Gas is not only environmentally and budget-friendly. When driving a CNG car, you will also benefit from quieter and smoother engine operation. ​Energy recovery turns kinetic energy back into usable electricity. During engine braking, the alternator supplies the electricity to appliances and charges the battery. This saves fuel, which would be otherwise used on these tasks. The ŠKODA OCTAVIA G-TEC is a perfect combination of attractive design, spacious interior and environmentally oriented technology. The first sight will not reveal you are looking at one of the most efficient OCTAVIA cars. The CNG-powered version is as elegant, spacious, and agile as its petrol siblings. What makes the difference is hidden under OCTAVIA‘s attractive body: two CNG tanks, engine modifications, Start-Stop system, regenerative braking, and multi-link rear axle. ​Did you know that the consumption of CNG vehicles in m3/100 km is nearly the same as the consumption in litres of petrol? The OCTAVIA G-TEC consumes mere 5.5 m3CNG/100 km and produces 98 g/km of CO2 emissions (approx. 25 % less than a petrol engine). The OCTAVIA G-TEC is powered by advanced bi-fuel turbocharged 4-cylinder engine. The 81kW 1.4 TSI engine runs primarily on CNG, but its operation and range is enhanced by a 50-litre petrol fuel tank. Refuelling is smooth and clean with this OCTAVIA: both fuel fillers are under the very same flap. When the vehicle is stationary, the engine runs uselessly, while still consuming fuel and emitting pollutants. That’s why the Start-Stop system automatically switches the engine off after stopping the vehicle, reducing the overall fuel consumption of the engine. ŠKODA G-TEC models stand for environmental technology tailored for day-to-day use. 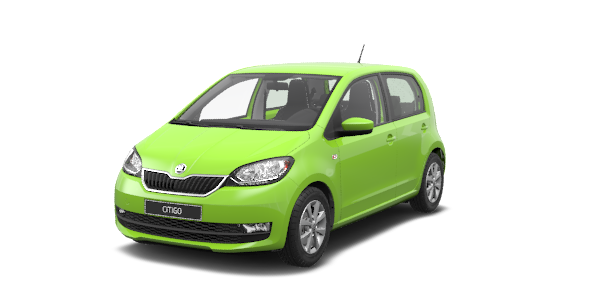 No matter whether you opt for the CITIGO or the OCTAVIA, you always get a car that is fun to drive and easy to operate. One example for all: refuelling with CNG is very simple, fast and clean. ​When you buy yourself the OCTAVIA, you want it to be your best partner for both day-to-day commutes and long journeys. The OCTAVIA G-TEC is no exception. The car is fitted with a total of three fuel tanks: two for 97 litres of CNG and one 50-litre for gasoline. It gives you range of up to 1,330 km without refuelling. A perfect car for environmentally-friendly globetrotters. 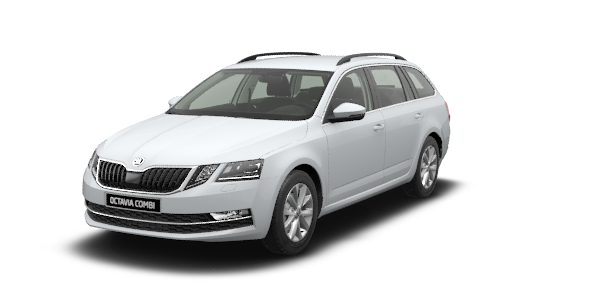 Travel the greener way ŠKODA offers natural gas powered models in response to ever increasing demand for economical and eco-friendly cars. The OCTAVIA G-TEC allows both petrol and natural gas (CNG - Compressed-Natural-Gas) to be used. The car is fitted with three fuel tanks – one petrol (50l) and two CNG (97l total) and can travel a distance of 1,330 kilometres (410km gas + 920km petrol reserve). The OCTAVIA G-TEC consumes only 5.5 m3 CNG/100 km and produces 98 g/km of CO2 emissions (25 % less than a petrol engine). Moreover, the model is fitted with the Start-Stop system and brake energy recovery. ŠKODA OCTAVIA G-TEC comes with a six-speed manual or a seven-speed DSG automatic gearbox. No difference outside and inside The OCTAVIA G-TEC interior therefore remains completely unaffected. The only difference from the standard versions is absence of a spare wheel, which has been replaced by a tyre repair kit. The gas tanks are located under the vehicle. The regular spare wheel well has been replaced by a specially moulded floor panel to make space available for the gas tank behind the rear multi-link axle. Thanks to this solution the CNG-powered OCTAVIA offers 460 litres for luggage. When rear backrests are folded, transporting capacity increases to 1,450 litres. Safe operation - safe driving ​CNG is as safe as petrol and diesel. Or even safer. The tanks, located under the boot, comply with the strictest safety requirements and regulations. In an accident, the CNG is sealed in tanks by safety valve. In case of fire, another set of safety valves takes care of carefully controlled gas release. Accidental leak of gas is nothing to worry about, too. CNG (unlike LPG) is lighter than air and it rapidly diffuses in an open area. Moreover, CNG leak will not cause contamination of soil or underground water. Add to that, the OCTAVIA G-TEC can be fitted with whole set of safety features to protect you when driving around the city: from up to 9 airbags, to ESC with multi-collision brake and multi-function camera for Lane Assist, Light Assist and Traffic Sign Recognition. Its comprehensive safety package was awarded with 5 stars in Euro NCAP crash tests. A penny saved is a penny gained ​The distinct advantage of CNG vehicles is their fuel economy. CNG is one of the cheapest fuels. Operating costs are approximately 50% lower compared to petrol or diesel. The consumption of CNG vehicles in m3/100 km is nearly the same as the consumption in litres of petrol. CNG really pays off especially with high annual mileage. CNG wherever you go There are more than 25,200 CNG filling stations around the world. Across Europe, there are around 4,000 CNG stations available to the public. In 2017 Germany and Italy had the highest number of public filling stations with more than 900. And every day, more and more filling stations throughout Europe start offering CNG. Think about the future Did you know that gas is the oldest fuel for combustion engines? Throughout the world, car manufacturers have had many decades of experience using natural gas as a fuel. Even before Carl Benz and Gottlieb Daimler launched their petrol engine vehicles, Etienne Lenoir in France and Nikolaus Otto in Germany built gas-powered engines in early 1860s. Nowadays, CNG drive offers significant advantages. For instance, ŠKODA G-TEC vehicles cause significantly less pollution than vehicles using standard fuel; not only in terms of nitrogen oxide, carbon monoxide and dioxide and precipitates, but also carcinogenic substances such as polyaromatic hydrocarbons, aldehydes and aromatics, including benzene. All ŠKODA vehicles are designed to be supremely efficient and to achieve low greenhouse-gas emissions, thanks to utilizing state of the art technologies. But real world fuel consumption is still in the hands of You, the driver. Improper driving style may increase both fuel consumption and greenhouse gas emissions by tens per cent. That’s why we’d like to offer you with ten tips to help you fully use your car’s potential. ​Weight not only slows you down, it also costs you fuel. Take the unnecessary items out of the car, every kilogram counts. And watch for the aerodynamics, too. Try not to leave your windows open and take off the bike racks or roof boxes when not in use. Hiding in the slipstream behind cars or, preferably, trucks, can vastly reduce the aerodynamic drag and significantly reduce fuel consumption. Just watch out and don’t get too close! Smoothness is mother of efficiency. Aggressive driving with lot of braking and acceleration leads to high fuel consumption. Clean, smooth inputs will not only save you money, they also make your journey more pleasant and comfortable. Only if it’s in perfect shape, can your car give its best. Make sure that your tyres are properly inflated, your oil and filters changed regularly and that your car is properly maintained by professionals at the authorized ŠKODA Service Partner. ​Is the traffic coming to a stop in front of you? Is that green light down the road going to turn red? Lift your foot! Coasting car uses no fuel and by slowing down early enough, you may even find in position to accelerate again before you come to a full stop, saving yet more fuel! Traffic jams do not only cost you time (and time is money). They increase fuel consumption, so they cost you money. Again. Using your ŠKODA Navigation systems with traffic information, you can avoid them and use your time and money on finer things in life. ​Brakes turn energy into heat. If your car is equipped with energy recovery system, you can recoup at least part of this energy. And in any case, you’ll save the fuel that would otherwise be used to keep engine running at tickover. Running your engine on idle is unnecessary waste of fuel, so switch it off every time you stay stationary for a prolonged period of time. Or you can just order one of our Start-stop equipped cars and leave it to computer! ​High engine speeds mean more resistance and more friction losses. Especially with modern turbocharged engines, which can achieve maximum torque in low rpms, it’s unnecessary to rev the engine too much. Or you can just listen to the Shift recommendation system. Fast driving usually won’t save you more than a few minutes, but it may severely increase your fuel consumption. Even 10 or 20km/h may make a huge difference. Keeping under the speed limits will not only save you money, but also make your journey safer and less stressful. The GreenLine models represent the perfect choice for drivers who put frugality and environmental friendliness on the first place. With economic engines and whole range of modern energy saving technologies, like brake energy recuperation, start-stop system or low rolling resistance tyres represent the way to help both your wallet and environment.